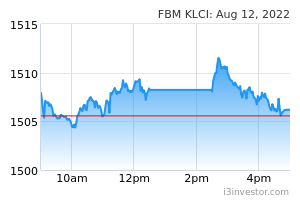 Global markets fell, prompting the KLCI to close down by a hefty 21 points, at 1,679.90, versus the prior week. Foreign net selling spiked to RM903.2m, continuing its trend of the past 3 weeks. Foreign flow has now turned to a net outflow position of RM849m YTD. The comparative figure during the previous corresponding period was a net inflow of RM1.9bn. The market appears to be in a downward momentum and likely to be dictated by economic data. The market fell into selling mode last week in line with weakness in Asian stock markets. The China market suffered significant selling, pressured by the country’s export which fell by 20.7% compared to 5% expected by consensus. As a result, foreign selling dictated much of the market’s direction last week, as the KLCI fell to its lowest level since early January. Foreign selling saw a net outflow of RM849m YTD, triggered by the largest weekly outflow since week 41 (in early October 2018). Compared to 2018, the market’s buyers are now in favour of local institutional funds with a net buy of RM481m (-RM2.2bn same period 2018), followed by retail with RM368m (RM225m in same period 2018). Despite the selling in equities, the ringgit stayed relatively stable at RM4.08 level. Brent crude oil rose to USD66.30/b due to oil-price specific news on supply, as well as macroeconomic factors. This week will be about macroeconomic picture. The news of weak China exports served as a signal that the strong Chinese market rally this year may have mainly been driven by policy easing and trade deal expectations. And the latest target for China GDP expectation for 2019 is set at 6-6.5%. The ECB, despite holding interest rates steady, provided a negative outlook on growth from 1.6% to 1.1% for the year. From the US-China trade expectation, while the trade negotiations are making progress, neither the US or China is expecting an imminent trade deal, given that no date for the Trump-Xi summit has been set. These factors above will possibly keep financial markets downbeat for the week.